These resources are intended for research being conducted at the Museum, however, some databases are available to offsite researchers. Those sites are labeled. The following databases index diverse journal collections and provide access to thousands of full-text articles via any computer on the United States Holocaust Memorial Museum network. Provides access to articles from more than 300 humanities and social science journals pertaining to Central, Eastern, and South-Eastern European topics. Browse an alphabetical list of titles. Interdisciplinary collection of articles from more than 1,500 scholarly journals. Also includes e-books. Browse an alphabetical list of titles. Provides access to almost 400 scholarly journals in a variety of disciplines. Depth of coverage varies for each publication. Browse an alphabetical list of titles. The following databases provide bibliographic citations and reference pointers on accessing hundreds of thousands of articles published in multiple languages. Contains more than 40,000 annotated citations for articles, books, and other resources about the history of antisemitism. Maintained by the Vidal Sassoon International Center for the Study of Antisemitism. Accessible to researchers outside the Museum. Database of links to peer-reviewed articles, papers, books, and abstracts published by professional societies, universities, and academic publishers worldwide. Includes links to some full-text articles. Accessible to researchers outside the Museum. Indexes and abstracts articles from more than 4,000 journals as well as books and dissertations published worldwide in over 40 languages. Indexes more than 160 English-language journals on Jewish history, activity, and thought. Includes guides to articles, book reviews, and feature stories devoted to Jewish affairs published since 1988. Browse an alphabetical list of indexed journals. Provides electronic access to more than 39 databases, including ArticleFirst and WorldCat. Includes more than 14 million citations for life sciences, behavioral sciences, chemical sciences, and bioengineering articles dating back to the 1950s. Accessible to researchers outside the Museum. Indexes articles on Jewish studies compiled from thousands of periodicals and collections of articles in various languages. Requires free registration with the National Library of Israel. Available to researchers outside the Museum. Digital resources on the Holocaust, genocides, human rights, culture, and more. Titles include the Encyclopedia of Camps and Ghettos, 1933-1945 and A Biographical Encyclopedia of Contemporary Genocide among others. 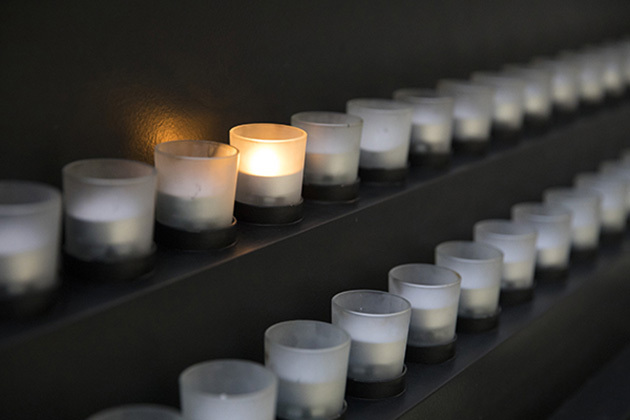 Access provided via any computer on the United States Holocaust Memorial Museum network. A digital library of over half a million books and digitized archival materials. Readers can access materials without copyright restrictions in a variety of formats (e.g. PDF, JPEG, EPUB, etc.). Researchers may create an archive.org patron account and borrow copyright materials for two weeks at a time. Patrons can read loaned materials online or download them for off-line access via Adobe Digital Editions software (free download). Accessible to researchers outside the Museum. Interdisciplinary collection of e-books integrated with JSTOR’s journals search. Provides results for individual chapters. A book lending platform launched by the Internet Archive. To access e-books researchers can create an Open Library account and borrow copyright materials for two weeks at a time. Patrons can read loaned materials online or download them for off-line access via Adobe Digital Editions software (free download). Accessible to resesarchers outside the Museum. Discover e-books and other e-book content available at the Museum. Access from any computer on the United States Holocaust Memorial Museum network. The following databases provide citations and, in some cases, the full text of master's theses and doctoral dissertations. Annotated list of online portals for dissertations and theses from around the world maintained by the Library of Congress. Some portals provide full text access while others only contain citations. Accessible to researchers outside the Museum. Provides access to over 700,000 open access theses and dissertations from 605 universities in 28 European countries. Accessible to researchers outside the Museum. Provides access to 450,000 doctoral theses from British universities dating back to 1800. Registration required for free access. Over 160,000 theses are available as free full-text documents, while copies of others can be purchased. Accessible to researchers outside the Museum. Provides citations, summaries, and in many cases the complete text of Masters theses and PhD dissertations in a variety of disciplines. Focuses on open access electronic theses and dissertations. Available to researchers outside the Museum. The following databases provide encyclopedia articles or geographic and location information. Database of names, descriptions, and characteristics of over 165,000 places in the world. Online, updated version of the 1998 Columbia Gazetteer of the World. Online encyclopedia that includes more than 21,000 entries on Jewish life, culture, history, and religion. Database of over seven million place names, searchable via a variety of spellings. Provides coordinates which can then be plotted using online mapping sites such as Google Maps or Bing Maps. Accessible to researchers outside the Museum. Database containing the names of all localities in the 31 countries of Central and Eastern Europe, plus all of the former Soviet Republics and Turkey, based on data provided by the US Board on Geographic Names. A project of JewishGen. Accessible to researchers outside the Museum. Covers three groups of concentration camps: The early camps that the Nazis established in the first year of Hitler's rule, the major SS concentration camps with their constellations of subcamps, and the special camps for Polish and German children and adolescents. Covers more than 1,150 ghettos, including both open and closed ghettos. Regional essays outline the patterns of ghettoization in 19 German administrative regions. The following databases provide full-text access to back issues of select newspapers. Online library of more than 115 full-text German Jewish periodicals from the 19th and early 20th centuries. Accessible to researchers outside the Museum. Provides full-text access to the New York Times newspaper, with all issues published between 1851 through 2009. Provides full-text access to the Washington Post newspaper, with all issues published between 1877 and 1996. Provides full-text access to digitized Jewish newspapers in various countries, languages, and time periods. Includes issues of the Palestine Post published between 1932 and 1950. Accessible to researchers outside the Museum. Provides free access to Jewish Telegraphic Agency news articles from 1923 to the present. Includes both a full-text search option as well as browse by date or topic. Accessible to researchers outside the Museum. Provides full text access and abstracts from the 19th century to the present. The following databases provide access to original primary sources related to the Holocaust. Digital collection of the complete files of the British Political Warfare Execuative (PWE_ kept at the U.K. National Archives as FO 898 from 1941-1946 along with the secret minutes of the special 1944 War Cabinet Committee "Breaking the German Will to Resist." Includes all the correspondence, minutes and agents' mission files along with a complete collection of all the airborne propaganda leaflets dropped over mainland Europe during the war by the British and American air forces. Digital collection of historical documents based on British Foreign Office information files gathered from across German-occupied territories during World War II. Includes information relevant to everyday life, propaganda efforts, and resistance movements in Western Europe. Consists of items originating from prisoners held in German concentration camps, internment and transit camps, Gestapo prisons, and POW camps, during and just prior to World War II. Most of the collection consists of letters written or received by prisoners, but also includes receipts for parcels, money orders and personal effects; paper currency; and realia, including Star of David badges that Jews were forced to wear. An official statistical source of data concerning the German economic situation throughout the Third Reich. Based on the following economic publications: Monatliche Nachweise-ber den Auswartigen Handel Deutschlands (January 1933–June 1939); Der Aussenhandel Deutschlands Monatliche Nachweise (July 1939); and Sondernachweis der Aussenhandel Deutschlands (August 1939–1944), from the holdings of the London School of Economics and Political Science. During the 1930s, the US shifted away from the use of unpopular military interventions to maintain its influence in Latin America: Pan-Americanism, support for strong local leaders, the training of national guards, economic and cultural penetration, Export-Import Bank loans, financial supervision, and political persuasion. This collection comprises 170 German-language books and pamphlets which present antisemitism as an issue in politics, economics, religion, and education. Most of the writings date from the 1920s and 1930s and many are directly connected with Nazi groups. The works are principally antisemitic, but include writings on other groups as well, including Jehovah’s Witnesses, the Jesuits, and the Freemasons. Also included are history, pseudo-history, and fiction. Contains English translations of speeches, essays and articles of Nazi propaganda dating from 1927 to 1945, as well as visual materials such as posters, postcards, stamps and pamphlets. Accessible to researchers outside the Museum. Provides documents from the investigation and prosecution of war crimes committed by Nazi concentration camp personnel, including: correspondence; trial records and transcripts; investigatory material; interrogation reports and trial exhibits; clemency petitions and reviews; photographs of atrocities; newspaper clippings; and pamphlets. Many concentration camps, death camps, and sub-camps are represented in this collection, including Mauthausen, Dachau, Bergen-Belsen, Buchenwald, Treblinka, Sobibor, Gros-Raming, Gusen I, Ebensee, and others. Presents documents related to the work of the Intergovernmental Committee on Refugees (IGCR), which was established after the Evian Conference of July 1938 to develop resettlement opportunities for refugees fleeing Nazi-dominated Europe. Includes more than 30,000 pages of materials from the US National Archives, covering the time period 1938 to 1947. Includes 25 individual newspapers that document life inside the internment camps for Americans of Japanese descent during World War II. Archives of the American Joint Distribution Committee, which provided aid to Jews in Europe before, during and after the Holocaust. Materials are primarily in English and include reports, speeches, eyewitness accounts, telegrams, correspondence as well as over 100,000 photographs and 200 oral histories. Accessible to researchers outside the Museum. Includes 450,000 pages of primary and secondary sources from the Nazi period. View a list of all sources included. A digital resource documenting Allied governments' responses to the needs of millions of civilians who had been displaced by the War. Based on collections from the National Archives of the United Kingdom and the Wiener Library in London, covering the time period 1945 to 1950. Consists of over 1,000 air-dropped and shelled leaflets and periodicals created and disseminated during World War II. The majority of items in this collection were printed by the Allies and then dropped, or fired by artillery shell over German-occupied territory. Many leaflets and periodicals have original publication codes and were printed in over 10 languages. Only leaflets shelled by Germans to Allies are in English. A digital collection of primary-source documents and rare printed materials drawn from the holdings of the Wiener Library in London that includes materials on Nazi Germany and the Holocaust, including eyewitness accounts, photographs, Nazi propaganda, rare publications, and other source materials. Digital collection documenting relations between the United States and the Vatican during World War II and the immediate postwar period. Illustrates the Vatican's role in discussions concerning Jewish refugees through correspondence, reports, interviews, and contemporary analyses. 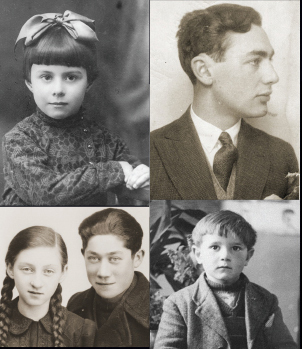 Provides access to the nearly 52,000 interviews with Holocaust survivors conducted in 56 countries and in 32 languages through the USC Shoah Foundation Institute for Visual History and Education, formerly the Steven Spielberg Survivors of the Shoah Visual History Foundation. Requires free registration. Researchers may search the collection from offsite via the USC Shoah Foundation Institute’s website. The Axis occupation of Greece during World War II began in April 1941 after the German and Italian invasion of Greece was carried out together with Bulgarian forces. The occupation lasted until the German withdrawal from the mainland in October 1944. When liberation came in October 1944, Greece was in a state of crisis, which soon led to the outbreak of civil war. The Greek Civil War was fought from 1946 to 1949 between the pro-Western Greek governmental army and the Communist Democratic Army of Greece. Get assistance before, during, and after your research visit to the Museum’s Library and Archives.